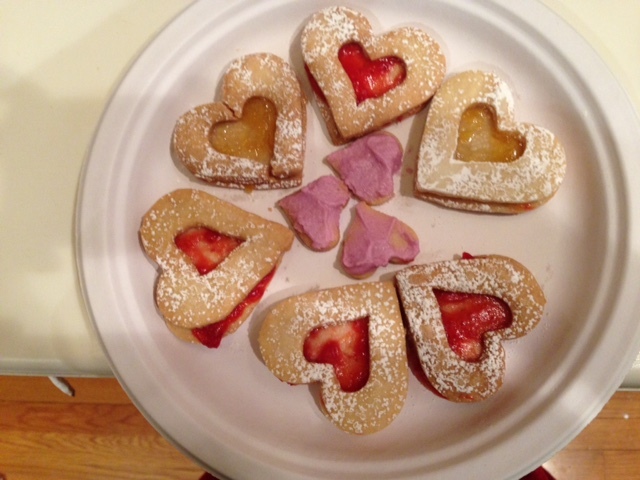 This weekend I turned my kitchen into a linzer cookie factory. 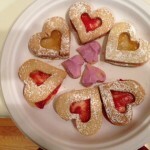 This reflected the gratitude I felt at the spirit of giving on Valentine’s Day. 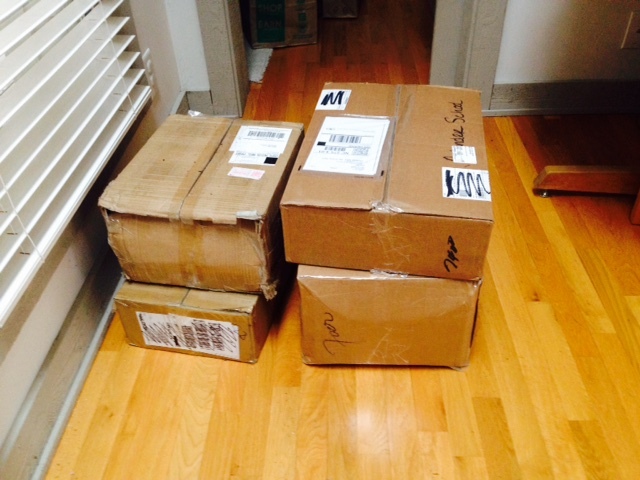 Four giant boxes have arrived from publishers–not for me, but for Aulander Elementary, a school where I’m doing a series of literacy workshops. Aulander is in Bertie County, one of the poorest in North Carolina. It’s 100% free and reduced lunch; 95% African American and 100% full of children eager to learn. I wrote to publishers because I felt I was failing this school. Every time I presented, I brought glorious books. Then I took them home with me. Aulander’s library is beyond pathetic—most of the books I remember from my childhood. Their books with African American representation is grim. The teachers and the principal are working hard. They’ve brought this school from a F school to a D school and are striving to make it a C school. New books stimulate will help stimulate the literary conversations that lead to school success. At the end of February, I’ll take the brimming boxes with me and the teachers will open new children’s books sure to nurture students’ hearts and minds. 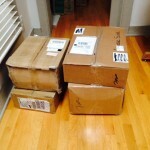 And of course, I wanted to send books to my grands and found two delightful books to fit them! For action-loving, love-to-laugh Zach, I sent Guess How Much I Love You: One More Tickle! 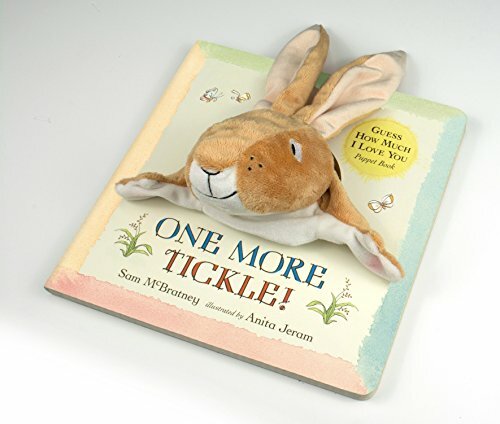 : A Puppet Book Board book Sam McBratney’s beloved character, Little Nutbrown Hare, appears as a soft plush puppet that springs out of the center of this book. “Are you ticklish?” he asks Big Nutbrown Hare and proceeds to test ticklishness of his elder’s ears, nose, arms, and toes. Each page ends with the refrain, “Tickle,tickle, tickle!” providing a pause for the puppet to tickle the listening child. The book ends with a warm goodnight kiss. I sent four-year-old Catie one of my favorite new holiday books, Deborah Underwood’s Here Comes Valentine Cat (Penguin, ages 3 and up). This, the fourth in the series by author and illustrator, features an eccentric non-verbal cat who achieves his message with the clever signage and revealing expressions created by illustrator Claudia Rueda. Cat declares a No-Valentine’s Zone with a sign that crosses out a heart. 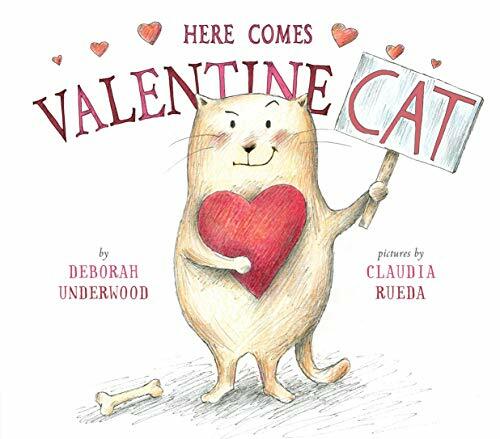 Eventually the helpful narrator teases out Cat’s uncaring feelings towards a dog who’s new to the neighborhood, convinces him that dog might be lonely and Cat finally produces a card that’s got enough quirkiness to suit the reluctant feline Valentine-giver.